Let’s start with a crafty post! I love crafts. The older I get the more I appreciate my Mom for teaching me all of the basics. I think I learned to crochet in high school, or maybe earlier. I remember a long red snake of crochet I draped around my bedroom…but somewhere along the line I lost interest. I thought it was too “cutsie”. 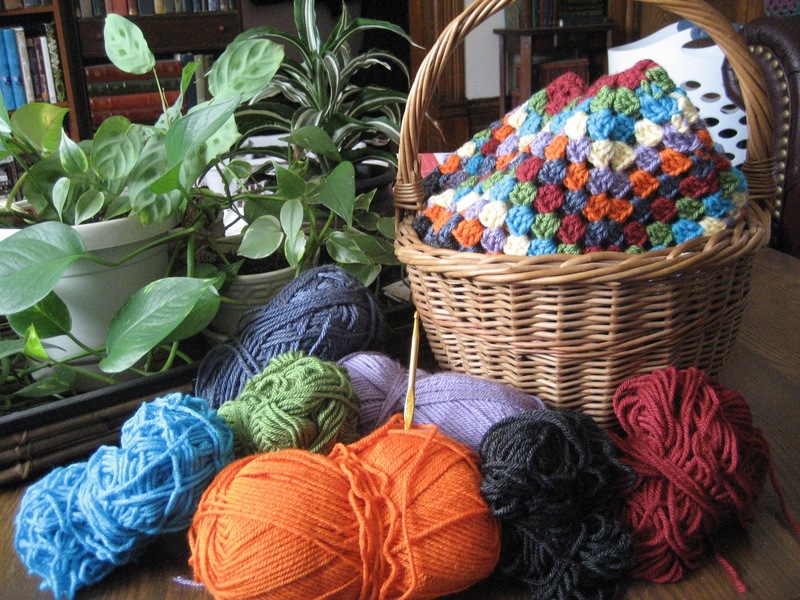 I moved to knitting some time in my late teens and did not get back into crochet until the last year or so. As with all things, what a difference the internet makes! There is so much out there to inspire you. Some is still cutsie (I have a much higher tolerance for cute at this stage of my life) but there are some truly beautiful and useful creations out there. 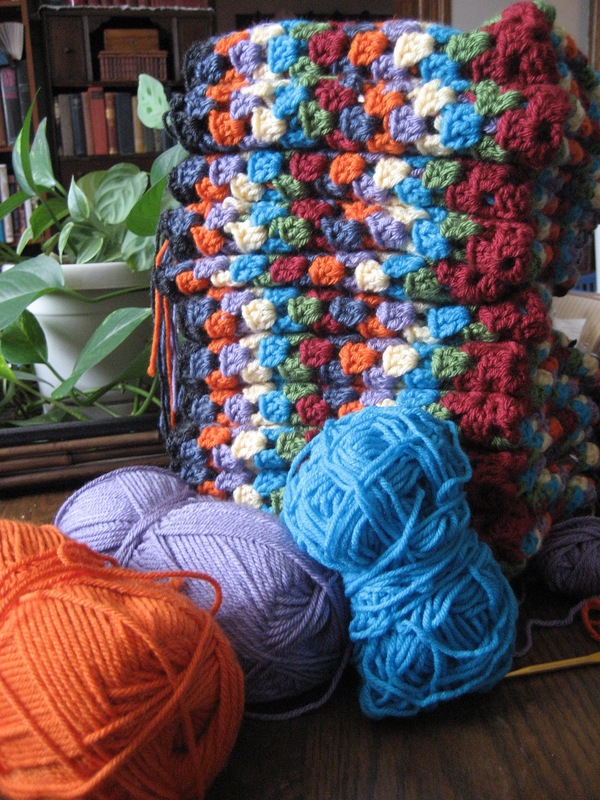 I find granny squares home-ie…home-ie and cutsie that’s me! But back to what I came to show you. 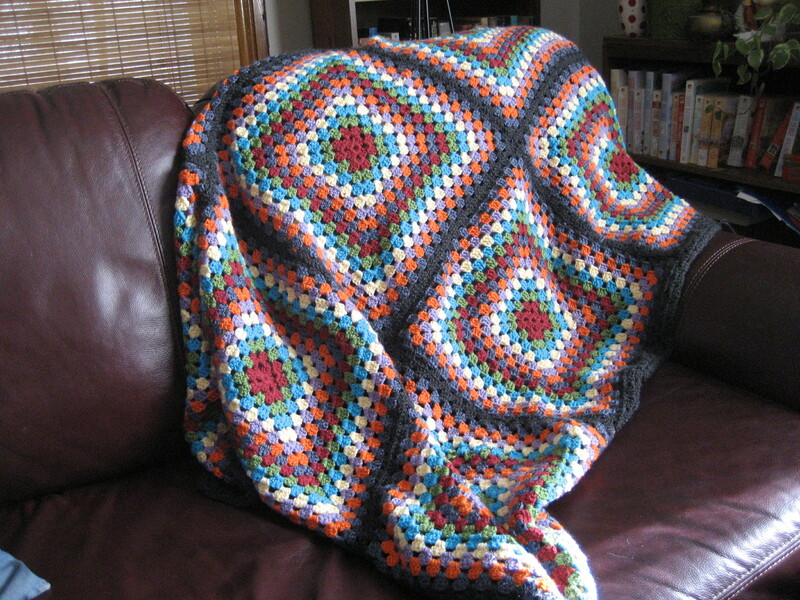 Last year I decided to crochet an afghan for my daughter. I wanted it to be colourful, and big and soft. The stack grew quickly. It took a few tries to find the colour combination I wanted. I bought most of the yarn at the Spinrite tent sale in big bags. I added a few balls of contrast. I thought I would never get the ends sewn in. I love the look of multi coloured grannies…except sewing in the tails. Very happy with the results. And Miss Murfin loved it too.